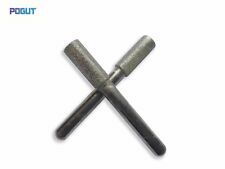 Water swivel for drilling machine, suitable for 10mm straight shank drill. Usage:Glass breaking pliers are used to break glass after the glass has been scored. It is for 2-10mm glass. 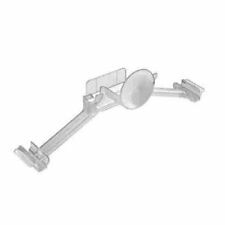 Water swivel for cone shank drill. 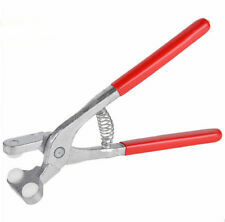 Usage:Glass breaking pliers are used to break glass after the glass has been scored. It is for 2-8mm glass. Can be bench mounted. Convenient size mounts to your work table without getting in the way. 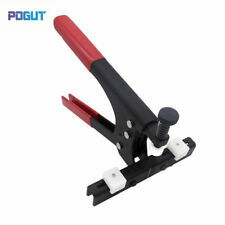 Usage:Glass breaking pliers are used to break glass after the glass has been scored. The screw is for adjusting the width. Waterjet Cutting Head. Waterjet Pump Parts. Waterjet coiled 1/4 HP tubing for robot waterjet cutter. 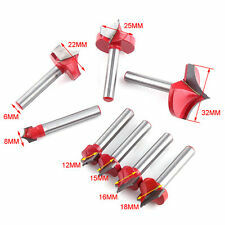 Usage: Diamond Cylindrical Burs Set, Rotary Tool Drill Bit for grinding and drilling Jewelry, jade, stone, marble, glass,shells. 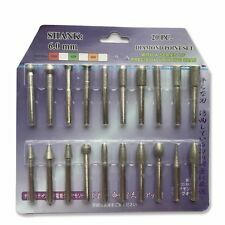 Shank: 3mm. WIN-WIN 5AXIS WATERJET CUTTING MACHINE. Water jet Spare Parts Repair Kit. WIN-WIN WATER JET ROBOT. WIN-WIN INTENSIFIER PUMP. 05116025 waterjet On/Off Repair Kit. 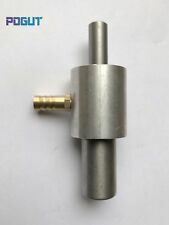 Water jet parts Connect Nut 520001280 for waterjet abrasive valve for Water Jet. Waterjet Cutting Machine and Robotic Station. Waterjet Cutting Head. Waterjet Pump Parts. Yes,we are professional waterjet system factory for more than 10 years. 0.26-0.33mm Waterjet Ruby Orifice. Yes,we are professional waterjet system factory for more than 10 years. If more quantiy, we grant special price for you! 5-Axis Waterjet cutting machine spare parts. Win-Win Waterjet Robot Station. Usage:The Mosaic Nippers Tile wheeled Cutter Pliers are usedto cut and shape glass mosaic pieces but can also cut glass from 1/32" - 1/4" along with terrazzo, ceramic tile, and agate. Size: 8in. WIN-WIN 5AXIS WATERJET CUTTING MACHINE. WIN-WIN WATER JET ROBOT. 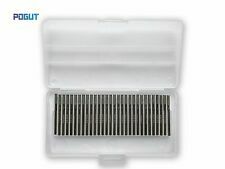 Waterjet Ruby Orifice 0.33mm 009519-13 for Waterjet cutting machine. Yes,we are professional waterjet system factory for more than 10 years. Waterjet Abrasive body MIXING CHAMBER used on 3 axis waterjet cutting machine. Waterjet Cutting Head. Waterjet Pump Parts. 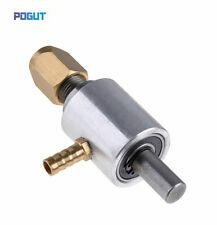 Waterjet part abrasive feed tube adapter 20453973 for waterjet cutting machine. 5-Axis Waterjet cutting machine. Win-Win Waterjet Robot Station. Waterjet Pump Parts. Yes,we are professional waterjet system factory for more than 10 years. Our Factory. More Spare Parts. Yes,we are professional waterjet system factory for more than 10 years. Usage:breaking glass to a scored line. LONG LIFE WATERJET ORIFICE 0.3mm Made in China. More Spare Parts. 5-Axis Waterjet cutting machine spare parts. Solid Copper Wire For Accents, Jump Rings etc. Perfect size for accents, jump rings, making swirls. The copper wire is solid and top quality wire. 18 Gauge Solid Copper Wire- Roll is 4 oz. Stained Glass Glass Supplies. 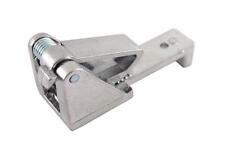 Water Jet cutting head components abrasive nozzle clamp. 5-Axis Waterjet. Waterjet Poppet Stem Insta1 006934-1 TL-004002-1. Waterjet Spare Parts LP Seal Kit 010641-1 For Water jet steel Cutting Machine. 5-Axis Waterjet cutting machine Spare parts. Other Related Waterjet Parts. 4 Axis Water jet Cutting Head Mixing Chamber/ Abrasive body. 20422243 HP Seal Kit for waterjet Glass cutting machine. Waterjet Cutting Head. Waterjet Pump Parts. 5 PC LONG LIFE WATERJET ORIFICE 0.3mm Made in China. More Spare Parts. Usage:Glass running pliers are used to break glass after the glass has been scored. The screw is for adjusting the width. 5-Axis Waterjet cutting machine. Other Related Waterjet Parts. Waterjet Cutting Head. Waterjet Pump Parts. Waterjet Cutting Machine and Robotic Station. Yes,we are professional waterjet system factory for more than 10 years.